It's the day after America's Independence Day, so that means it's July 5th. What better time and excuse to use today's date as the inspiration for a top ten list! 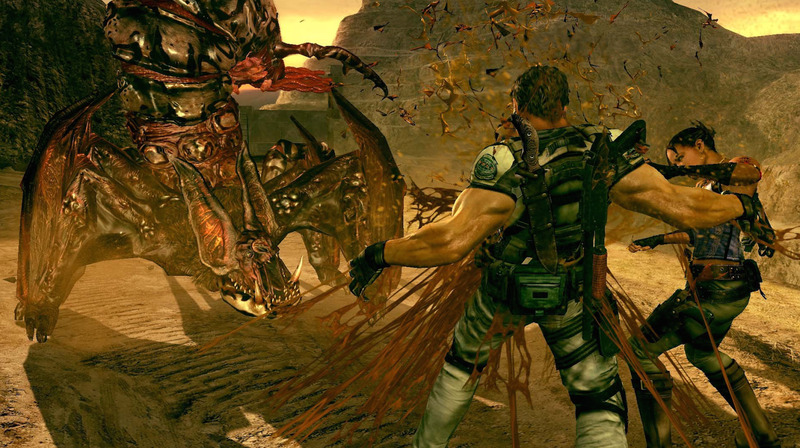 This time, we'll be checking out the ten best fifth entries in some of gaming's most prolific franchises. 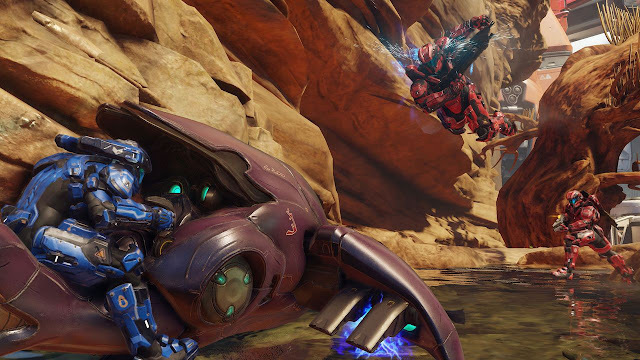 From Halo to Final Fantasy, this list should name some of your favorites! After you've read SuperPhillip Central's list, feel free to shout out any games that are missing from this top ten. For now, let's get on to the list! After Halo 4's online community seemingly evaporated into nothing, 343 Industries had to step it up with Halo 5: Guardians. The developer did just that, offering a Halo game that features some of the most satisfying combat the series has ever seen, as well as a story that sees Master Chief going AWOL while being pursued by Spartan Locke and his team to bring him back. 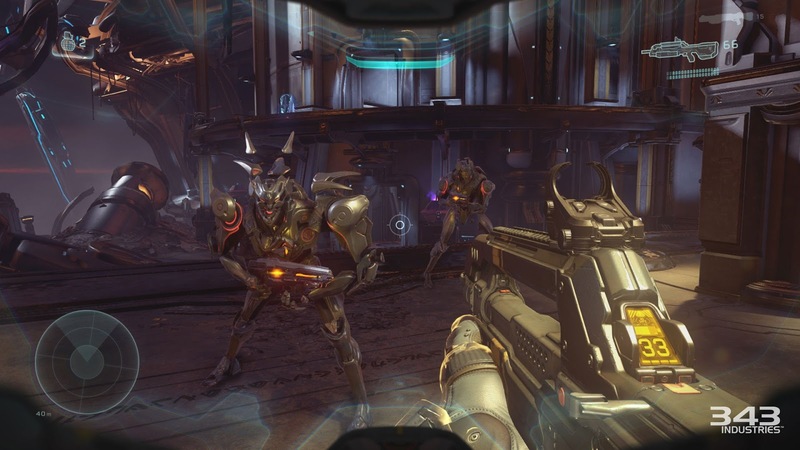 The multiplayer saw the removal of Halo 4's unlocking of weapons, and instead went back to a weapon loadout at the start of each match, then allowing players to pick up other weapons that spawn on the various maps. While not the best Halo game to ever be created, Halo 5: Guardians was overall a step in the right direction for the franchise. 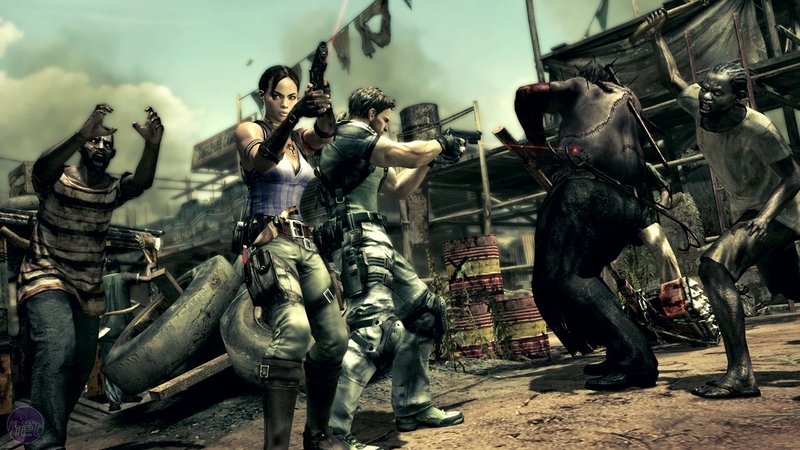 Excluding the social commentary on how racist Resident Evil 5 was or wasn't, the game featured new improvements such as cooperative play either locally or online, the ability to upgrade weapons from the inventory menu rather than heading to a shopkeeper like in Resident Evil 4, and speaking of an inventory menu, Resident Evil 5's had nine slots for each character, and it didn't matter what the size of a given item or weapon was. Throw in a story that saw protagonist Chris Redfield confronting his past and the always fun Mercenaries side-mode, and you had a Resident Evil game that was an exciting third-person shooter. The gaming world's ultimate driving simulator returned with Gran Turismo 5, the greatest selling PlayStation 3 exclusive to date. Those sales weren't just because of the pedigree of the series. The fifth installment actually had lots to celebrate and enjoy, including online races for up to 16 players, more than 1,000 cars, over 25 locales and locations, over 70 unique raceways, night racing, vehicle damage, and for a first in the series, the licenses of NASCAR, Super GT, and the World Rally Championship were included. 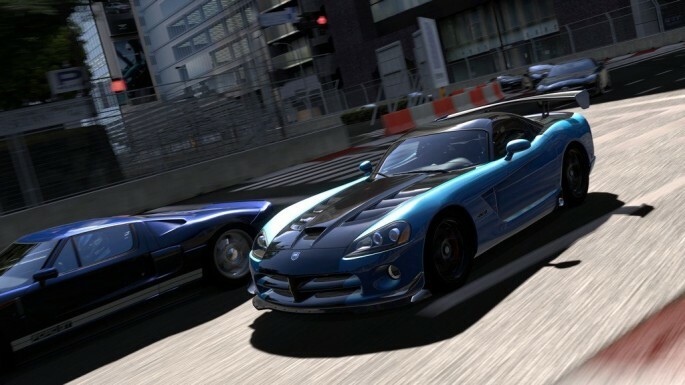 There was so much content to be found in Gran Turismo 5, and quality content at that, that it would not be surprising if most players haven't even seen most of it multiple years after its initial release. Past Metal Gear Solid games saw a good deal of open-ended-ness as to how the player could tackle getting through a given room or corridor. 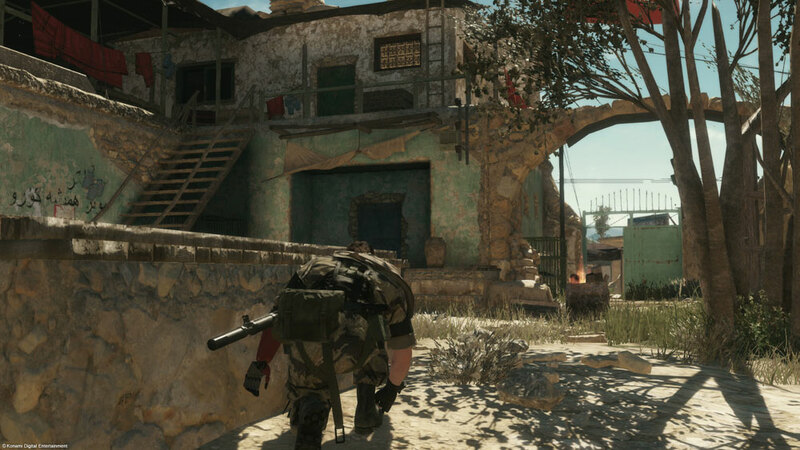 Metal Gear Solid V: The Phantom Pain blew the door off in terms of open-ended-ness, offering an open world to explore, to sneak through, and to complete missions in. This open nature of the game also allowed players to choose the order of their missions, making it so they could play the game in the order that best suited them while still being able to understand the story. The seemingly endless amount of ways one could tackle a mission was and still is astonishingly impressive. 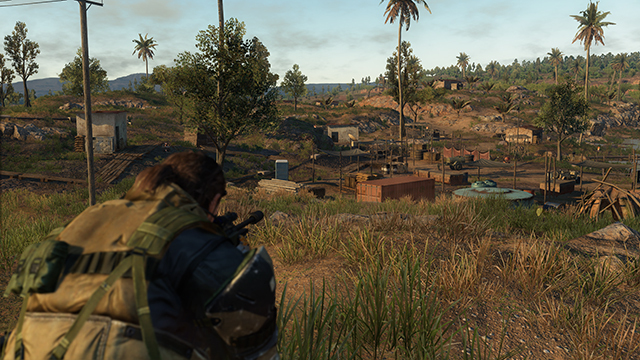 Even with its obvious shortcomings, Metal Gear Solid V: The Phantom Pain remains a wonderful entry in the Metal Gear Solid franchise, and a nice sendoff from the real life Big Boss, Hideo Kojima. By the fifth game in a series, especially when they are all released on the same platform, things can feel a little bit like the series is going through the motions. Certainly, it could be said that the NES games of the Mega Man series felt just like that. 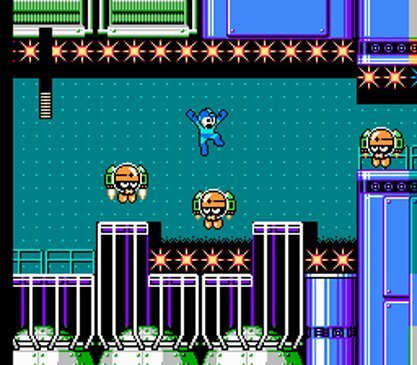 However, while the freshness of the franchise wasn't still there by the fifth installment, Mega Man 5 was still a highly rewarding and entertaining game. The formula remained the same: defeat eight Robot Masters, take their weapons, and use them to defeat normal enemies and bosses alike. Returning to completed levels was possible in order to collect the letters "M-E-G-A-M-A-N-V" which would unlock Mega Man's new bird buddy Beat to be used in battle. 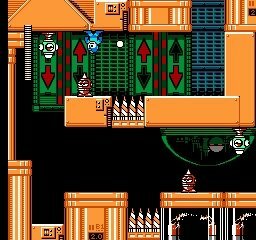 With impressive level design, tight controls, and more enemies to blast than you can shake Proto Man's shield at, Mega Man 5 on the NES remains a fantastic entry in the long-running series of the Blue Bomber. 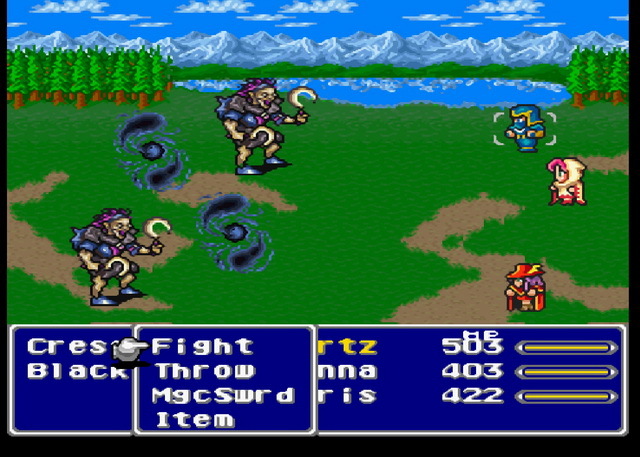 The fifth entry in the Final Fantasy franchise didn't hit the west until much later after its initial release. It wasn't until its arrival as part of the Final Fantasy Anthology for the PlayStation that us westerners finally got a chance to play this remarkable entry in the Final Fantasy franchise. 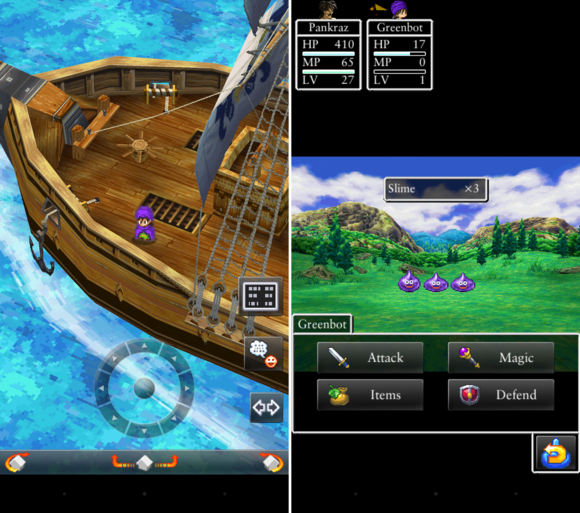 Final Fantasy V introduced a much loved and cherished system into the series, the job system, allowing party members to assume different jobs allowing them to learn specific skills and abilities. Mastering jobs was incredibly rewarding, and it granted lots of replay value and longevity for players. All that goodness was great for tackling the worldwide threat that was the sinister Exdeath. 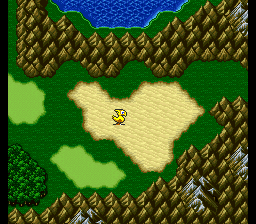 Final Fantasy V wasn't the strongest 16-bit entry in the series, but it is still very much worth playing. The first entry in the Dragon Quest series to hit the Super Famicom (also the first to not reach western shores immediately), Dragon Quest V: Hand of the Heavenly Bride was a remarkable entry in the Dragon Quest series and a great step forward for JRPGs in general. The basic combat of the franchise was prevalent, but what was interesting was the ability to recruit monsters to your hero's cause, a gameplay mechanic that would spread into future installments and spin-offs of the series, as well as inspiring other franchises like a little known series called Pokemon. Dragon Quest V also sported an intriguing take on its plot, having the player join the hero from his birth all the way to him getting married-- a 30+ year ride. Dragon Quest V wasn't just an amazing fifth installment of the series, it was also simply one of the best Dragon Quest games ever created. Mario Kart is a colossal kart racing franchise, and it seldom fails to deliver high octane racing action with items to mess over the competition with and delightful tracks. Mario Kart DS was a big step forward for Nintendo, as it was one of the company's first online offerings. 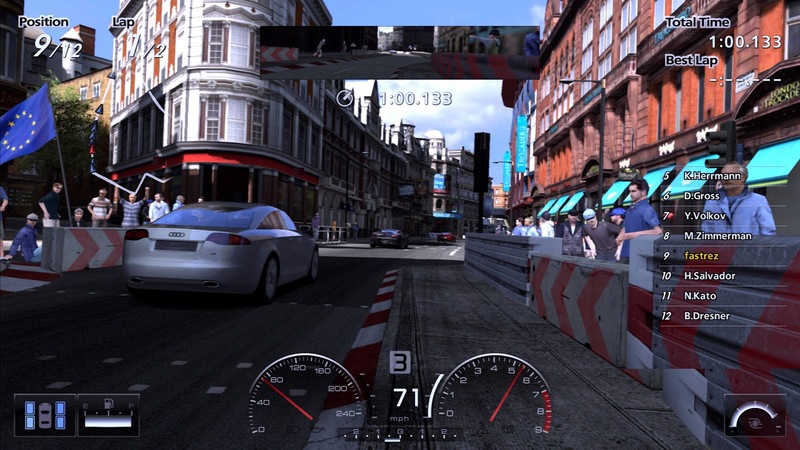 While not all of the tracks were available for online play, the fun of racing randoms as well as friends online in speedy spectacles was a total blast. 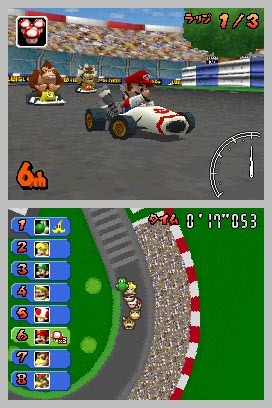 Mario Kart DS also saw the first official inclusion of sixteen retro tracks from past Mario Kart games along with its collection of sixteen new tracks. Alongside this was a mode that boggles the mind why it wasn't included in future Mario Kart games: Mission Mode. It all equaled a Mario Kart entry that was packed with content for both single player and multiplayer mayhem. 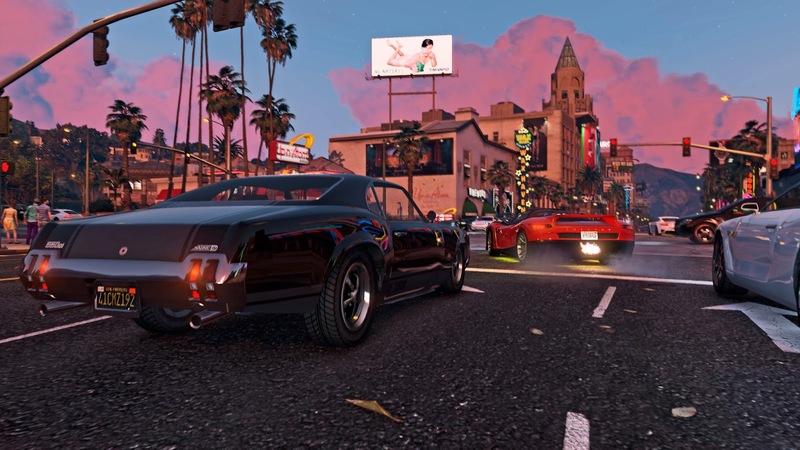 Containing one of the most enjoyable open world sandboxes in gaming history, Grand Theft Auto V continues to sell even multiple years after its original release. 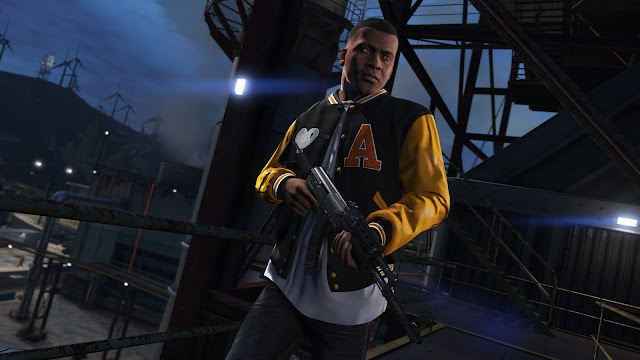 The newest installment of the Grand Theft Auto series saw notable improvements to the gunplay, controls, and driving of the franchise, things that fans and critics alike had harped on in past entries. The three character system opened up the story to be seen in different perspectives, and how these three characters' tales did interweave and complement one another was well done. Los Santos itself was absolutely a dream to explore, filled to the brim with stunning detail. The other half of the GTA V package, GTA Online, offered sandbox exploration for dozens of strangers and friends to enjoy, as well as heists and other fun modes. Grand Theft Auto V is a deep, involved game that no doubt deserves all of the sales it has and continues to get. 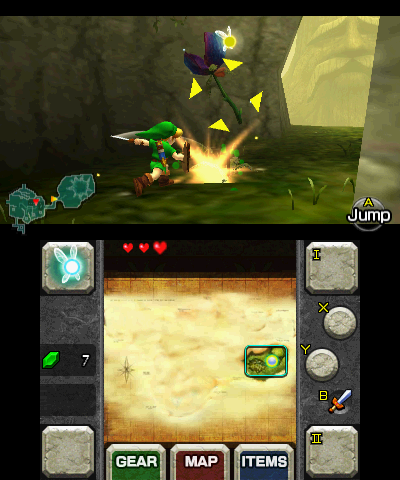 While not having a number five attached to its name, The Legend of Zelda: Ocarina of Time was the fifth mainline installment of The Legend of Zelda series. I wondered if I really needed to explain myself for choosing Ocarina of Time as the best fifth entry ever created in gaming due to the fact that it's a game that a lot of people have as their favorite game of all time. With its memorable characters, exciting story, well designed dungeons and puzzles, amazing and revolutionary gameplay, and masterful music, The Legend of Zelda: Ocarina of Time remains a fabulous Zelda game and not only that, but it remains one of the best made and most cherished games of all time. And this is most definitely for very good reasons.